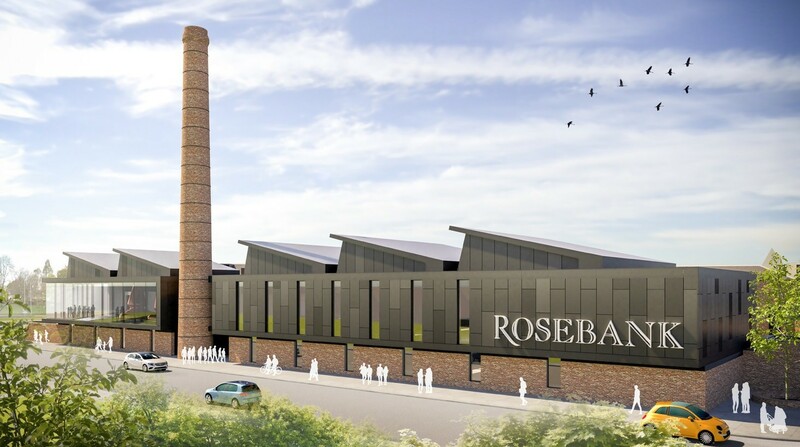 A long-dormant Falkirk distillery is to be fired up once again following approval of a £12m scheme to restart production at Rosebank, retaining period features such as a landmark chimney while creating a contemporary new build extension. 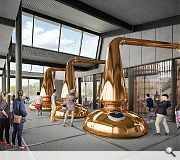 Spearheaded by Ian Macleod Distillers and Michael Laird Architects the scheme will see the mothballed site brought back into productive use by autumn 2020. 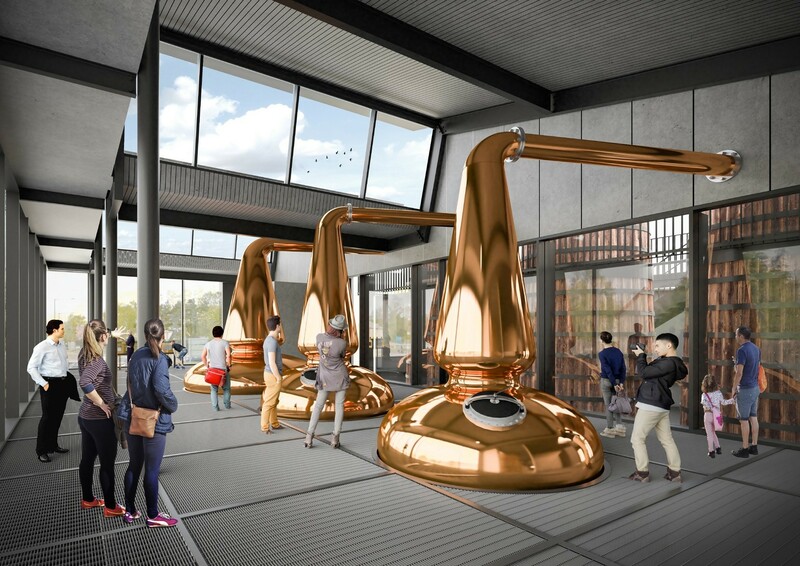 Phased proposals call for a working distillery to be established as a priority with repairs to existing warehouses, distillation areas and the landmark chimney, including areas of extensive glazing to clearly communicate the distillation process to passersby. 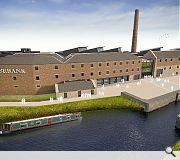 A second phase of work would follow within five years to convert non-operational warehouses into a visitor centre, café, retail and auditorium. 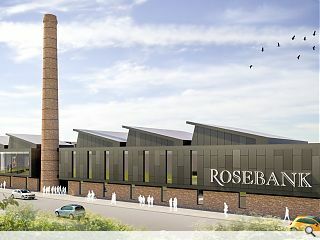 In their design statement the architects wrote: “The conceptual approach is to retain, renovate and enhance the principle listed buildings facing the Forth & Clyde Canal which are crucial for Rosebank’s heritage & setting. 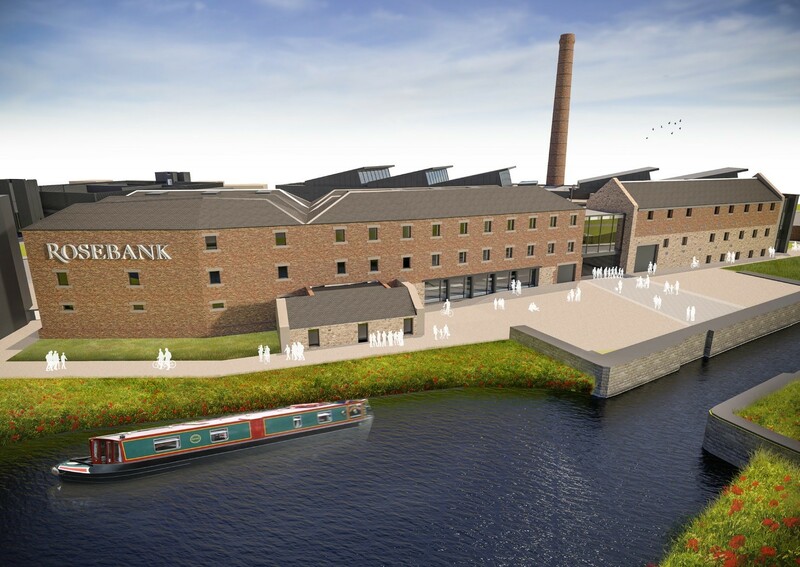 Now owned by Scottish Canals the distillery has lain dormant since 1993.